Media experts postulated that efficiency, lighter materials, design, connectivity, and electric autos – encompassing fuel-cell, plug-in hybrid and battery-electric models – would be the most important car trends in 2014, according to an April survey of automotive journalists by PRIME Research. PRIME flagged lighter materials as the top emerging trend, ranking No. 8 in the panel’s 2012 predictions, No. 5 in 2013, and now No. 2. The related concept of efficiency was either No. 1 or No. 2 all three of these years. The experts were particularly intrigued by the ideas of shrinking a powertrain or engine to cut weight and aluminum vehicles, ranking those two trends as the most promising. 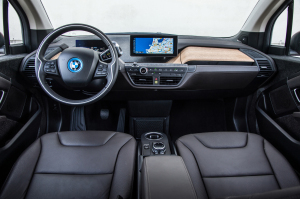 Carbon fiber, the key material in the BWM i3, was viewed reasonably well, but didn’t grab the panel the way aluminum and smaller engines/powertrains did. Mixing materials was seen to have slightly more promise. The panel also still liked high-strength steel as a technology, but felt it’d more or less reached its peak, according to PRIME. 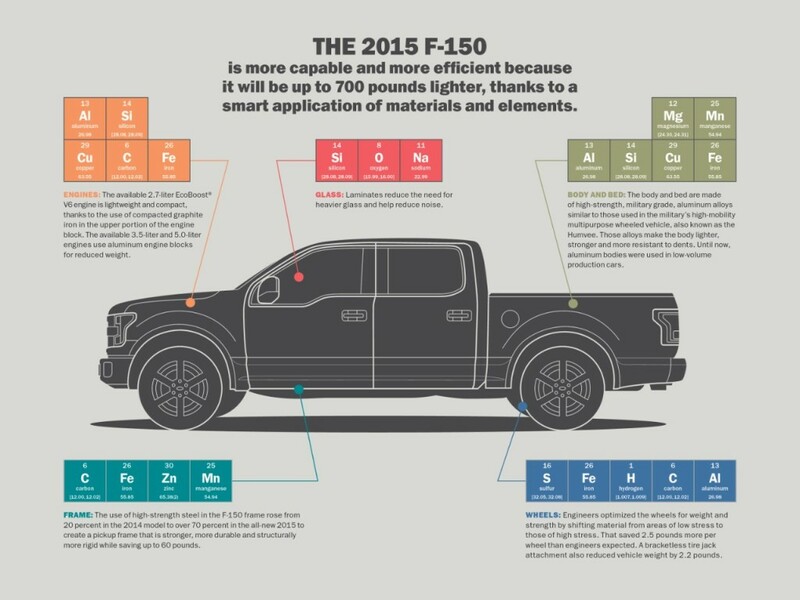 This year, of course, American drivers were tantalized with the prospect of both carbon fiber and aluminum vehicles with the release of the BWM i3 and 2015 Ford F-150, respectively. If these two sell well and the experts are right about one or both materials having legs, your body shop better be ready – and that could cost you plenty in terms of training, infrastructure and parts. Ford, for example, helped dealership shops with the $30,000-$50,000 in retrofits needed for the F-150, spokeswoman Elizabeth Weigandt told the Associated Press. That’s a steep price to a small shop. About 700 independent shops had been trained on fixing an aluminum truck, according to the November AP article. Rough estimates for a shop seeking to be ready to repair the BMW i3 were unavailable. However, a BMW staffer told CNET you’ll need a milling machine and a vacuum to make fixes. You can’t actually fix or pound out a broken carbon-fiber piece. You’ll need to remove it, and BMW designed certain sections of the car that can be swapped out with a new carbon-fiber section. This can be done by cutting out the damaged area at one of five points: on top of the A, B, and C pillars and in front of and behind the floor pan, according to the blog, noting that this is done with a special repair tool. You’ll also need a special tool to remove glass from the life module. 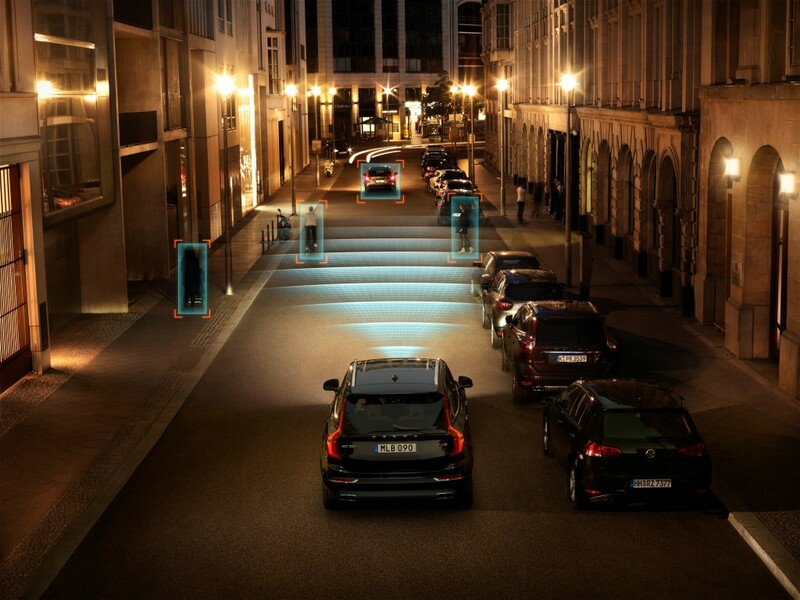 With the usual caveat that of course, crashes are a bad thing and we don’t wish them on anyone, “smarter cars” do affect our industry’s ability to keep the lights on. PRIME’s experts seemed to think autos would get even smarter. Cars that can detect threats and warn you – or react accordingly – could mean less crash work to put a shop owner’s kids through college. And the experts saw safety-related systems as most important for future autos. However, they also predicted in 2013 that “infotainment” would be the most important trend, with driver assistance coming in second. So that could mean more distracted drivers sending business your way. And autonomous driving – which either means zero crashes, lots of crashes, or Maximum Overdrive, depending on how good the programmers are – was picking up steam in terms of media expert perception. Some experts see autonomous cars being produced in five years, with only hurdles like legislation and public perception standing in their way.